EMC Isilon are providing even further vSphere integration features in their upcoming ‘Mavericks’ release of their OneFS operating system. This is great to see. The integration is in the area of vSphere APIs, both for Array Integration (VAAI) & Storage Awareness (VASA). Let’s have a look at the VAAI enhancements first. Full File Clone/NFS File Copy – The Full File Clone primitive calls the storage array’s replication facility. In Isilon’s case, a writeable snapshot of the file is created, saving space since it does not need to clone the whole VM’s disk. This is very similar to the VAAI block primitive XCOPY. One difference I do need to call out however between block and NAS primitives is that the NAS Full File Clone primitive will only work with VMs that are not running. In other words, Storage vMotion operations do not use the Full File Clone primitive at this time, unlike Storage vMotion on block devices which support VAAI. I want to highlight that this is not a limitation in Isilon’s implementation; rather it is a limitation on the vSphere side. It is definitely something I want to see in a future implementation of VAAI. NFS Extended Stats – With NFS, vSphere only gets generic information about space consumption on Thin Provisioned datastores. The full details around the amount of space that is being consumed by an actual file on an NFS datastore at the back-end is not visible. This can lead to some space-management administration overhead as vSphere administrators may need to contact the storage admin for detailed information. In vSphere 5, all extended file and filesystem information are available via this primitive. For example, how much actual space is being consumed by a VMDK on the back-end can now be retrieved. NFS Reserve Space – In earlier versions of vSphere, there was no way for NFS datastores to create the equivalent of an “eager-zeroed thick” VMDK. In vSphere 5, with VAAI NAS support, you now have the ability to reserve the entire space for a VMDK on an NFS datastore with this Reserve Space primitive. These primitives, of course, require the EMC Isilon VAAI NAS plugin, but this is easily installed via VUM, the VMware Update Manager. After watching some of the tests, the improvement is significant. An offline clone operation of a 120GB VM took about 7 minutes 15 seconds without VAAI. With VAAI, it took 1 minute and 29 seconds. This was almost 5 times faster. Nice! vSphere Storage APIs for Storage Awareness, commonly referred to as VASA, is a set of APIs that permits storage arrays to integrate with vCenter for management functionality. 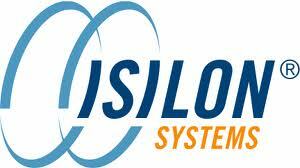 Isilon are now surfacing up a bunch of device capabilities with VASA. These are now visible in the vSphere client when examining datastores. This is great to see. Isilon customers who deploy the VASA plugin along with upgrading to the Mavericks release can now reap the full benefits of VMware’s Profile Driven Storage feature. What this means is that deployments of VMs will always be error free, allowing you to select the correct datastore for your VM each & every time. The other benefit is that you can constantly check the compliance state of your VMs storage throughout its life-cycle (e.g. detect if someone inadvertently migrated to a lower tier of backing storage). You can learn more about Storage Profile but this blog post I did on the vSphere Storage Blog. We don’t have enough vendors doing offloading with VAAI NAS, so it is a welcome sign to see Isilon introduce this. And I certainly like the VASA capability descriptions that they are surfacing up – I think this make it nice and clear to Isilon customers what sort of device(s) are backing their respective datastores. EMC are a diamond sponsor at this years VMworld 2012 in San Francisco. I’m sure Jay, James and the rest of the Isilon team would be delighted to show you these new features. You’ll find those guys at booth 1203. I’m pretty sure there are plenty of VMware/Isilon customers already running tier 1 VMs on this platform. ‘Mavericks’ certainly does provide even more integration features, from a management and performance perspective. Did you have some particular concerns? Just to add to this, Chad Sakac of EMC does call out some limitations in his post on Mavericks – http://virtualgeek.typepad.com/virtual_geek/2012/05/isilon-x400-and-mavericks.html. Its probably worth reviewing.